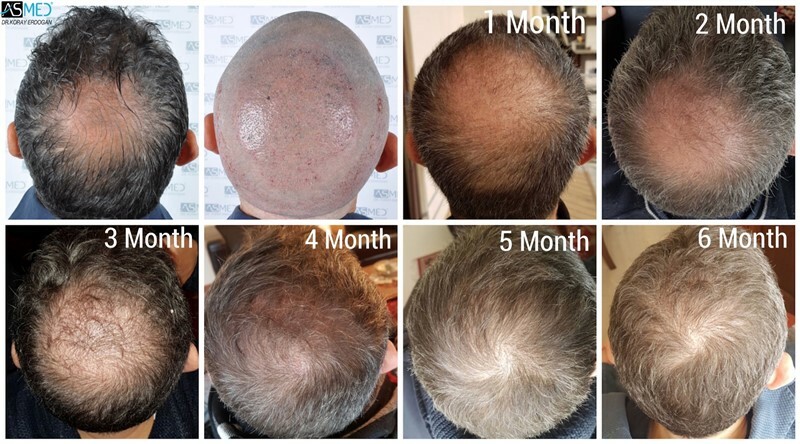 OPERATION DETAILS: 3023 grafts FUE extracted by manual punch, diameters 0.7 mm. Incisions executed by: custom made blades sapphire, lateral slit. Placed with KEEP. GRAFTS DISTRIBUTIONS: 3023 grafts were used to restore the patient’s VERTEX area. - FINASTERIDE: The patient has been using the medicine for 6 months.